What a beautiful, interesting, and fun place to spend a day. 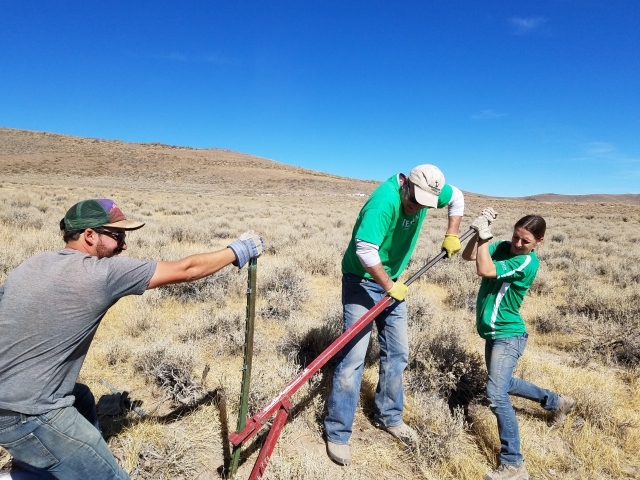 Thanks to all of the volunteers who made the trek out to Bodie, and all of our partners: BLM Bishop, Bodie Hills Conservation Partnership, Bodie State Park, and the Bodie Foundation. And of course, thanks so much to the Westin for an awesome lunch for everybody who helped. Check out some photos below. Casey Penn, the “Stewardship Guru,” shares some trailwork wisdom with the group. Volunteers worked to clear brush away from buildings to protect against wildfire. Volunteers of all ages jumped in and helped out. Some volunteers did more standing around than working. 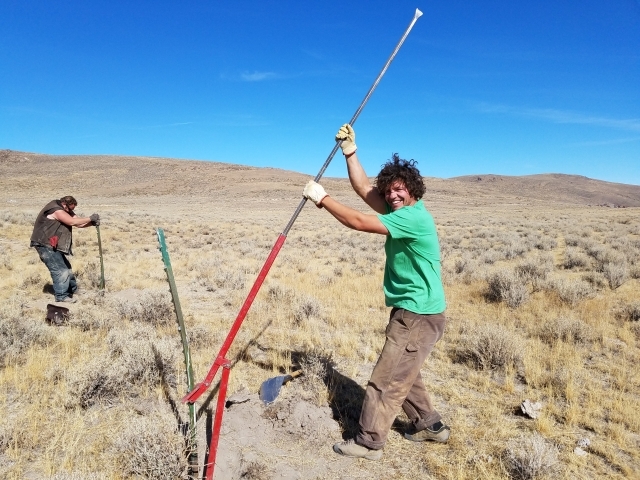 One group of volunteers helped remove an old fence that blocked deer migration. 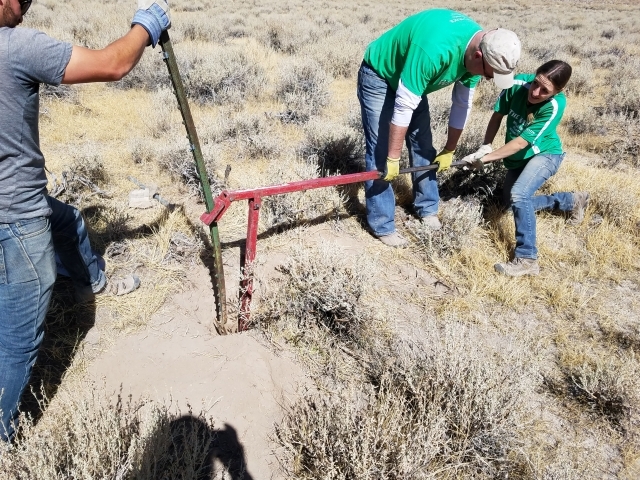 Patrick and Kaitlyn from the Westin in Mammoth dive head first into some tough, but rewarding work. 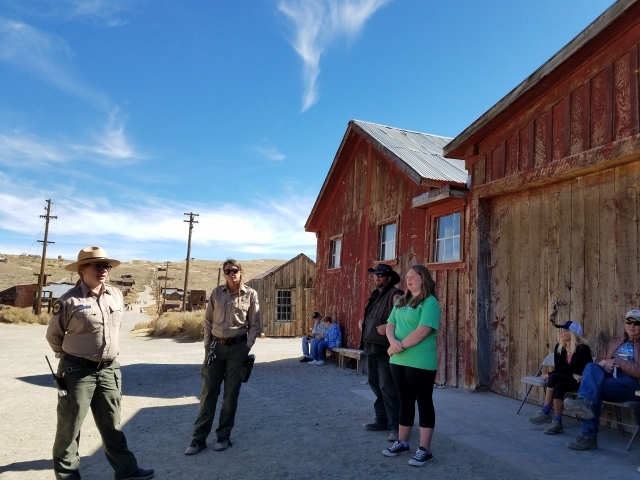 Volunteers were treated to a private tour of the historic town of Bodie.